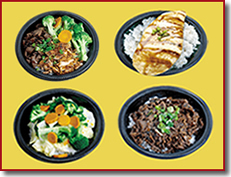 If you are looking for information on the WaBa Grill franchise business opportunity, WaBa Grill franchises or WaBa Grill franchising , then you have come to the right place. At WaBa Grill, we strive to serve the best possible teriyaki menu items using 100% all natural ingredients, and no artificial additives like MSG. The flavor of our teriyaki sauce comes from fresh fruits and vegetables. We use boneless, skinless, fat-trimmed chicken, and high quality steak, ribs, and salmon. Our salads are prepared shortly before serving, and all meats are charbroiled. No oil is ever used for cooking, and nothing is fried. You will enjoy the clean, low-fat, healthy entrees freshly prepared to order that appeal to your desire for tasty food, served at "on the go" speed. 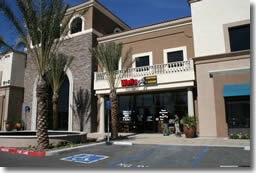 For your health, for great taste, for your satisfaction, it's WaBa Grill! WaBa Grill Incorporated seeks to create premier choice quick service restaurant business model and comprehensive service for the franchisees serving health conscience, premier choice and high value quick service food to customers in an inviting atmosphere with satisfying experience in service. Promote constructive partnership with franchisees to achieve leading quick service operations catering to customers seeking clean, inviting, and satisfying dining experience. 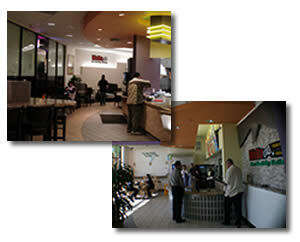 Achieve ever-growing brand recognition with relentless investment on the merit of WaBa Grill menu. Become a leader in the best-value providers in quick service restaurant sector. Promote teriyaki menu as the America's premier choice quick service food menu item above and beyond hamburgers, hot dogs, tacos, burritos, and sandwiches. 2000 health conscience quick service food restaurants nationwide by year 2025.